The US Court of Appeals has ruled that the FTC mandate to protect consumers against fraudulent, deceptive and unfair business practices extends to oversight of corporate cybersecurity efforts -- and lapses. But security experts are split about whether the decision will help improve enterprise security. "It is not only appropriate, but critical, that the FTC has the ability to take action on behalf of consumers when companies fail to take reasonable steps to secure sensitive consumer information," said Federal Trade Commission Chairwoman Edith Ramirez in a statement. Specifically, last week's decision allowed the FTC to take action against Wyndham Hotels and Resorts for failing to reasonably protect consumers' personal information between 2008 and 2010, when hackers broke in three times and stole more than 600,000 bank card numbers. Together with another court decision this summer allowing class action lawsuits against breached companies, this ruling means that data breaches are about to get a lot more expensive. Clearly, given the fact that data breaches keep happening, and are getting more and more destructive, something needed to happen. "Everyone wants to see more done," said Eric Chiu, president and co-founder at Mountain View, Calif.-based HyTrust Inc., a cloud security automation company. "Allowing companies to police themselves hasn't worked." According to Chiu, economic and financial motivations aren't enough, companies haven't been policing themselves, and consumers have been paying the price. The FTC's involvement is good news for consumers, he said. "The government will now be putting greater pressure on companies to put in place the right level of security," he said. "It gives the FTC a lot more power to take action against companies that frankly have weak security practices." 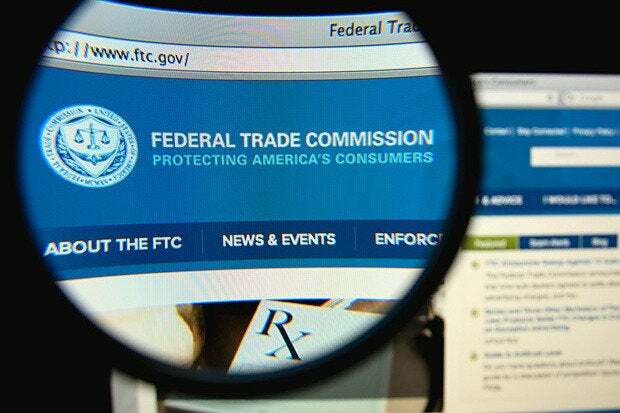 The ruling gives FTC more teeth, and that's a good thing, said Greg Mancusi-Ungaro, CMO at Toronto-based BrandProtect Inc. It will take time to see whether there's enough teeth, he added. But the actual fines the FTC levies are just the start, he said, since FTC decisions will also add substantial fuel to class-action lawsuits. The decision won't create better security on its own, but it has already sparked discussion in companies, said Gerry Stegmaier, partner in the privacy and data security practice at Boston-based Goodwin Procter LLP. However, it's not clear exactly what it means to take reasonable steps to secure customer information. "The key underlying problem – what must companies do – will remain until the agency can explain better what the law requires," he said. "It's like giving speeding tickets without speed limit signs." There's also the risk that the FTC will require companies to take steps that aren't necessarily the most effective. The hackers are the ones who illegally break in and steal data. But it's the businesses who are being treated like criminals by the FTC, Stegmaier said. Are reasonable steps even enough? There's little evidence that the ruling will make a significant difference to consumers, said Amir Ben-Efraim, co-­founder and CEO at Menlo Park, Calif.-based Menlo Security. "There have been many reported -- and unreported -- cases of successful attacks on organizations that would have passed FTC scrutiny in terms of patching and updating," he said. That's the dirty secret of the cybersecurity business, he added. "No combination of conventional, detection-based security systems deployed today can stop an attack," he said. The big winners in this debate are the security vendors, who are expecting to see enterprises become more receptive to new approaches -- and to bigger security budgets. "When you go for the low-cost option to store sensitive data, that's not a good thing," said Kunal Rupani, principal product manager at Palo Alto, Calif.-based Accellion, Inc. "The FTC is doing the right thing by making sure that enterprises take the measures that they need to take to make sure their customer data is secure." At the very least, enterprises need to be back to the drawing board and rethink their security strategies, he said. For example, enterprises should admit that traditional walled-garden-style approaches to security are no longer enough. Criminals will break in, and companies need to add layers of protection around the data itself. That could be via broader adoption of encryption, said Suni Munshani, CEO at Stamford, CT-based Protegrity USA, Inc.
"In case of a breach, the scrambled data cannot be understood by unauthorized individuals," he said. But all these efforts won't be going to waste, he added. "While security firms may benefit from this ruling, the real winners are those consumers who want their sensitive information better protected," he said.